Common Grounds Café runs on the belief that through a rich collaborative effort, we can provide our community with an opportunity to experience high quality products from local vendors while supporting a vocational training environment that helps students with disabilities become successful community members. Common Grounds Café opened in April of 2014, and is run through a partnership between the Durango Public Library, Durango School District 9-R, and local businesses. 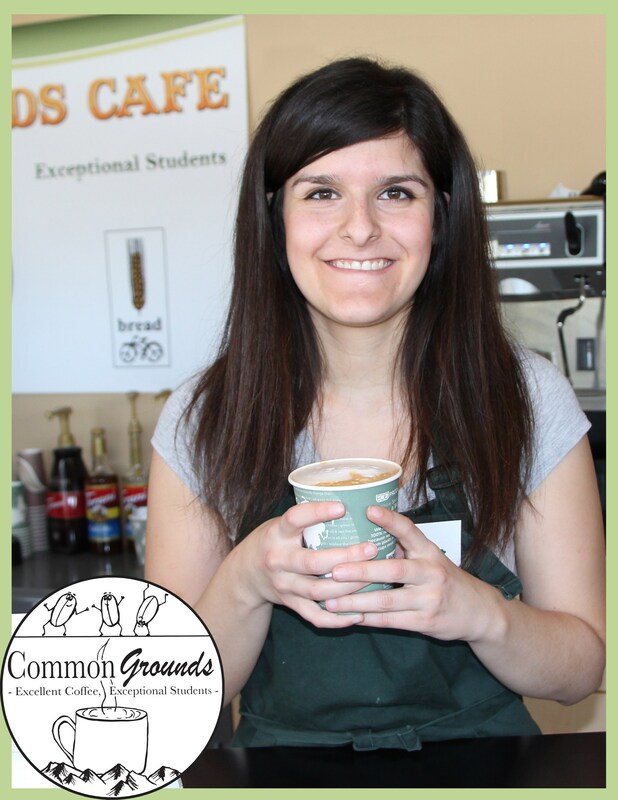 At Common Grounds, students have the opportunity to work in a supported environment with qualified educational professionals while mastering work skills needed for any employment setting. Students are incorporated into every level of the business, including ordering, customer service, inventory and accounting, marketing, cleaning and maintenance depending on their individual skills and needs. Local businesses have provided training to our students on aspects of the service industry, such as tasks, customer services, equipment upkeep and use, and consistency of service and product. Common Grounds enriches our community by giving the public an opportunity to experience the incredible skills that our students have to offer, and encouraging enriching interactions between students and the public. The Common Grounds Café serves locally made baked goods and sandwiches from Bread bakery, and brews locally roasted coffee from Desert Sun. Stop by the Durango Public Library and get to know one of our student baristas, we’re open Monday through Friday from 10 am to 2 pm.